Still – you did your homework. You sought out trusted guidance, got some early consumer buy-in, and did your due diligence and market research. You handled the financial needs, and then — you went for it. After all that you did right, it still failed. Circumstances weren’t with you this time. “As it turned out.” A seasoned businessman and mentor recently shared those words with me. He said the phrase was not to be viewed as a safe harbor in case of failure or a justification, but as a truism about life. Not all endeavors turn out successfully, no matter how hard you worked or how much you believed that it would. Sometimes luck or timing plays a hand. Had you known the outcome ahead of time, you would never have moved forward, but that doesn’t mean that the experience was a total loss. Use the rear-view mirror to carefully analyze whether there were warning signs you might have missed, and take the hard won business lessons you’ve learned and apply them to your future endeavors. 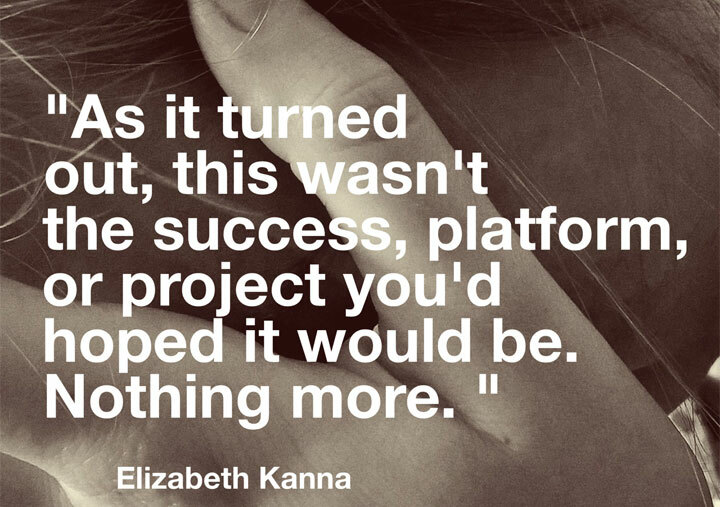 “As it turned out,” this wasn’t the success, the “cookbook,” platform or project you’d hoped it would be.